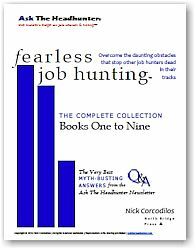 Item 1: Job hunting and hiring are 90% about selling. And 90% of sales is about your attitude and about the attitude you project to employers, job hunters, headhunters, and anyone else you brush up against in when your objective is to match a person with a company. Anne Sweeney, Co-Chair of Disney Media Networks, talks about a quote that motivates her. “What would you attempt to do if you knew you could not fail?” Sweeney found a new attitude in that quote. This is about making choices. Think about that quote the next time you start wasting your time sending resumes to 200 companies you picked out of the weed garden called “The Job Boards.” Choices? Those aren’t choices. Those are companies you barely know anything about (except that they posted a job opening). Stop it, Dopey. Why pursue companies you think might hire you? Close your eyes. Imagine the lush garden of companies you’d give your eye teeth to work in. Pick one, two, three, or four, and don’t worry about failing. Go after them like a mad dog, like nothing else is in your field of vision. How to exploit volunteer work. Half don’t use social networking sites at all. Only one-fifth use them to ferret out new contacts in their client companies. Less than 15% use them to make connections with new prospects. Fewer still use the networks to track down old contacts. And only 6% use the social networking sites to find a new job. If salespeople — the most goal-oriented people on the planet — barely use social networking sites to sell, what does that tell you about the utility of social networking sites? There’s good advice to be gleaned about job hunting, hiring, and goosing your career, but not where you expect. You’ll find it in the netherworld of business — so go take a look. Where do you find the most useful tips about job hunting and hiring? I heard a slight variant of this in Brian Tracy’s excellent audio program “The Psychology of Achievement.” I’d recommend that to anyone who is serious about improving their lives, including job hunters. And I’m totally with you on the social networking sites. I’ve been on LinkedIn for over a year now, put up a profile on Classmates, and for a while, even had a MySpace page. Guess what? Almost nobody looked for me there. And definitely nobody who could help my career. I’ve come to the conclusion after reading your blog, newsletters, and web site, and much research into achievement, that the only person who is going to help me is myself. I may just pick up that issue of Fortune to learn a thing or two. And if I can’t find in at the store, there’s always the library (and I practically live there). Thanks, Nick. 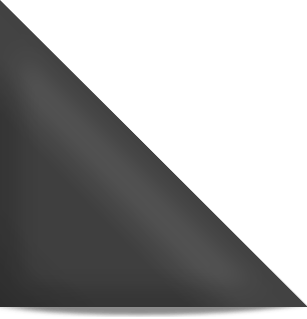 Social networking sites are just that – social. I use livejournal to connect with friends and arrange gatherings, but it’s not a job networking site – well, no more than your personal email list, and less so in some important ways, the most important being that it is neither urgent nor direct. 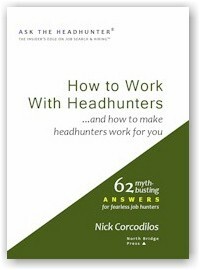 A book that radically changed my approach to my own employment searches and to those I help with finding work is High Probability Selling by Werth and Ruben (read the first four chapters free online and obtain other helps at http://www.highprobsell.com). I think the ideas in HPS dovetail very nicely with the idea that job searching is about selling. 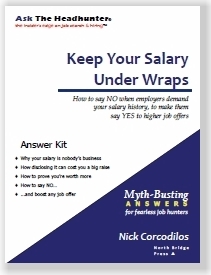 This is NOT a book of tricky closes and ways to overcome objections, but rather, sets forth a philosophy and methodolgy that affirms and supports the sales person (job seeker) and helps get the seller (candidate) and the buyer (potential employer) together a la Ask the Headhunter. In fact, using the basic ideas in HPS I was able to develop what I call a self-marketing campaign methodology that can result in several actual, real job interviews every day. Now I realize this goes against your encouragement to find those three or four companies that intrigue us and go after them. But in both situations – targeting a few or looking for many – High Probability Selling should prove helpful. 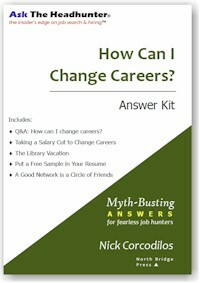 In fact, I would argue that when the job seeker or career changer takes the time to ask and answer the Who am I? and What do I want to do? questions, and then starts presenting him- or herself in the way suggested by HPS, that that person will find a whole new sense of confidence and self-worth coming to the surface, along with an improved (more positive) attitude. At the very least I believe that after reading HPS the job seeker will be motivated to identify and confidently present his or skills and abilities in a positive, forward-looking, honest and non-manipulative way. And that the job seeker will start feeling less like a beggar and more like a person who has something valuable and meaningful to offer.